A couple of weeks ago, a half-assed doodle (in every sense of the word) that I made 15 months ago inexplicably went semi-viral and brought a lot of new people to the Facebook page. I would have liked to have held a little celebratory giveaway for passing the 2000 mark, but unfortunately I’m broke (no, really. I had just about enough money left this month to pay for the mules’ feet to be done, and then the direct debits for my insurance went out and I had to borrow from Ben. Considering they were both free, these mules are very expensive). So instead of a prize, I give you: another Q&A! Don’t say I don’t treat you. For me personally, it wasn’t an intentional choice to get a mule instead of a horse. I’d had a vague idea of getting a nice little cob and somehow ended up with Marty instead. However, I quickly came to the conclusion that mules were all I wanted in my life and I would never go back to horses. Mules are extremely intelligent. This can occasionally lead to trouble, particularly if you’re as inept as me, but the plus side is that they learn things very quickly, will perform a job perfectly once they understand it, and are better able to judge situations and act accordingly. They are more likely to stop and think if they encounter something scary and their self-preservation means that they’ll keep you safe, too. To really answer that question, you need to ask yourself what your goal is with your riding. Mules can do any discipline a horse can, although most aren’t keen on being drilled in the arena; they are really in their element out on the trail. For someone looking for a good equine to enjoy the great outdoors with, I would recommend a mule every time. 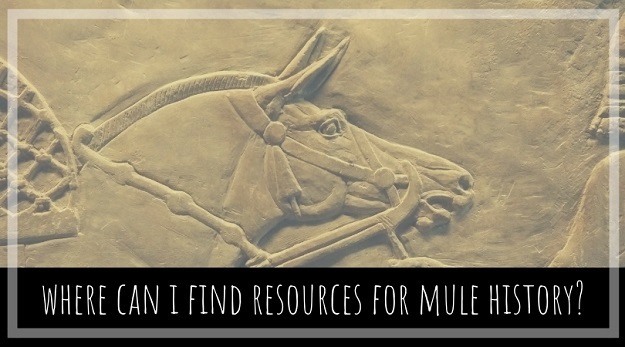 You can read a slightly more in-depth look at the reasons why you might get a mule (and why you might not) in this article. As in one of each at the same time? Not to my knowledge; mule hooves are generally a mix between donkey and horse. Some mules have very donkey-like feet and some are more horse-like, although when compared side-by-side you will see that the mule hoof is still much more oval in shape. Don’t feel worried about asking questions, by the way! The whole point of this blog is to show that no matter how daft you might think something is, I will always have done something dafter. So, here is what I have noticed from my own limited experience. Marty, who was not intentionally bred, whose mother did not get the correct nutrients she needed during the early part of her pregnancy, and who did not have his feet or teeth or anything like that done until he was four-years-old, is very resilient. As I write this he is actually recovering from what the vet thinks may have been a virus that has resulted in his worm resistance being compromised, but apart from that he’s not been one to get illnesses or injuries. Oh, apart from that time the vet thought he’d broken his shoulder, but he did that by trying to climb onto Xato’s back and then falling off so he only has his own idiocy to blame. Xato on the other hand seems determined to see the vet as often as possible. I think he does it on purpose because when he’s on medication, he gets two hard feeds a day – whereas I usually only feed him once. Let’s see; he arrived with conjunctivitis and white line disease, both of which made sense as I assumed the former was due to long distance travel + haynets and dust, and the latter because he’d had a month long stop-over in Barcelona and his feet were badly in need of doing. Then this spring he developed his weird itch which the vet said was lice, but we never actually saw any lice and none of the others in the herd or on the property were effected. Then of course he ulcerated both eyeballs courtesy of Marty. Then he got a bite on his neck which went bad very quickly. And then, most recently, he’s just finished a course of antibiotics for another cut/bug bite under his jaw that went bad and abscessed. I’m glad I have Marty for comparison, else I’m sure Xato’s Real Mum would think that I am a terrible owner who isn’t looking after her boy. Despite Xato’s constant maladies, he recovers from them all really quickly. He had 80% coverage when it came to the ulcer in his right eye, the worst one, and it healed within a week. The vet was gobsmacked and said she’d never seen an eye ulcer that big heal so quickly; when it happened there had been talk of hospitalisation, of stitching his eyelids shut and putting a tube in, of weeks and weeks of healing. It still cost £700 for that one week of vet visits and eye drops, so I’m extremely glad of his healing powers – for myself as well as for him! So my conclusion is: it all depends on the individual. 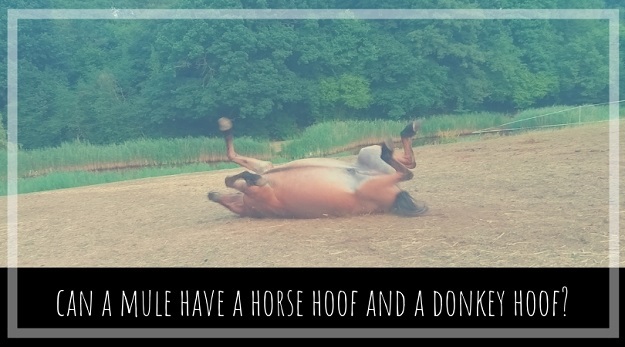 I do think mules are generally less likely to get self-inflicted injuries than horses, purely because they don’t do silly things like run into fences (I’m looking at you, Iris), but it’s certainly not a blanket statement. Not in the UK, unfortunately. 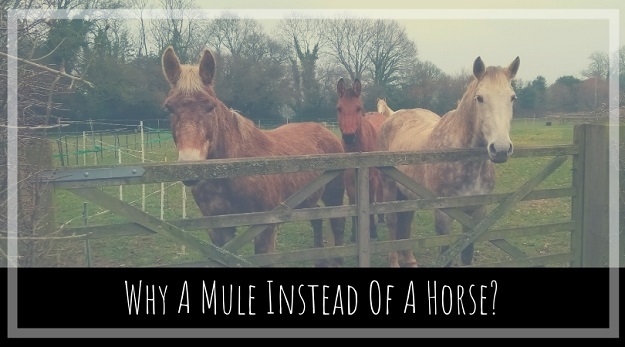 I made this post some time ago which details where you can meet mules in the UK and Europe, and neither of the UK centres have their riding mules any longer. I would personally recommend Heipscheid Longear Trails, but they do ask for riders to be able to manage walk-trot-canter and no beginners. Mule owners are an extremely friendly, generous bunch however. We are always happy for people to meet our mules and ride them if possible. 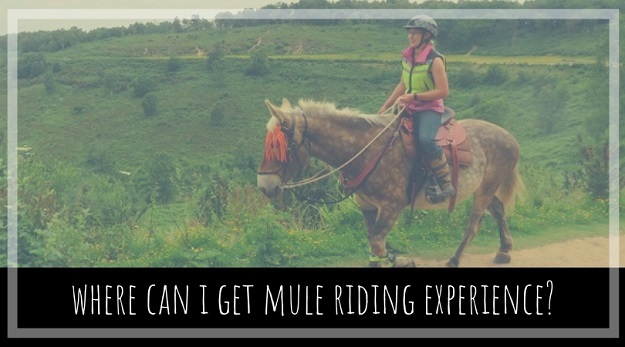 If you’re in the south of England or South Wales, contact me via the Facebook page or join the Mule Owners UK group to find people in your area. Donkeys are desert animals, and having large ears mean that its easier to pick up sound and help regulate their body temperature. 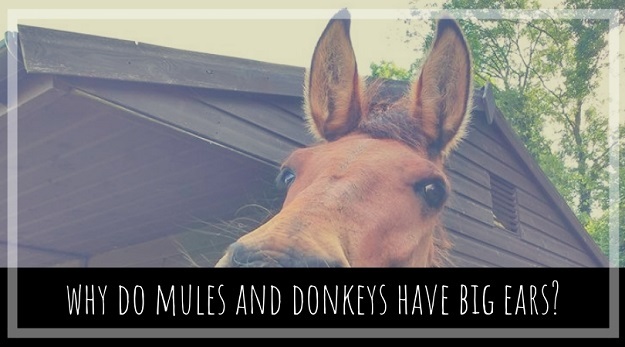 Mules and hinnies just inherit this physical trait – although hinnies generally have slightly smaller ears than mules. Mules seem to be one way or the other when it comes to enjoying their ears being touched; they either love it or hate it. I have one of each! After four years I can rub the base of Marty’s ears and occasionally run my hand up them, but he is still very earshy. Xato loves having his ears scratched and will put his head right down on the floor so that I can reach them. Thank you so much! I’m afraid I can’t point you in any particular direction; there are a lot of books that tell the history of the mule in the modern era, but none (to my knowledge) that deal with medieval and ancient history except in passing. Google Books is your friend, as it allows you to search for any mention of mules in books that you might not otherwise want to spend the time trawling through! David Kaemmerer’s website (owner of Buttons the jousting mule) may not be mule-specific, but it has good resources and he’s certainly a good person to talk to. The Mule by Lorraine Travis, founder of the British Mule Society, is an excellent book and has a great section on history. I also have my own very, very amateur investigations listed under the Mules In History section on this page. I’m not a historian, just an enthusiast. We are extremely lucky where we are; we keep the herd in a quiet village with no through-road and single track lanes, meaning that the traffic is very quiet compared to elsewhere in England. If we go up the lane, we gain access to the Punchbowl and the common land beyond that – acres and acres of riding with no restriction on where we can go. If we go down the lane, we get onto the 800 acre common and from that can access another huge common, and then another … it’s all sandy ground too, so stands up to riding in all seasons. 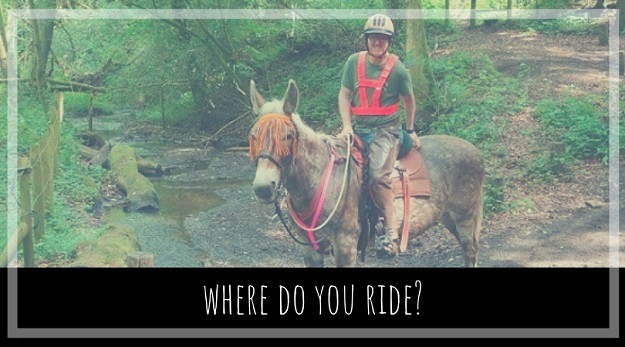 This is not the normal picture of riding in the UK as we have a real problem when it comes to losing our bridleways, or having to navigate ill-kept bridleways and bad gates. Where I grew up in Cambridgeshire it was mostly roadwork and we had to ride a couple of miles before we could get onto a bridleway. Have the horses at the yard seen a mule? 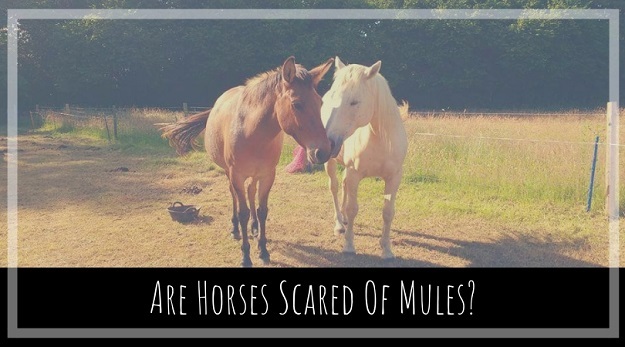 There’s a bit of a myth that all horses are scared of mules; it’s why we sometimes have problems entering shows, clinics or other events, as organisers refuse to give us a chance. Generally, horses don’t care. It’s like saying horses are scared of cows – some are, some aren’t. Mules are horse-shaped but smell different, so that’s usually what the horse is reacting to, if it reacts at all; there’s only one horse in our village who reacts to my boys (and there are a LOT of horses in this village. More horses than people, I think). Of course, when Marty first moved in I did get in trouble with a lot of riders as Marty’s favourite pastime for a while involved hiding behind the hedge and then yelling at any unsuspecting horse and rider who came past. No reason why not! 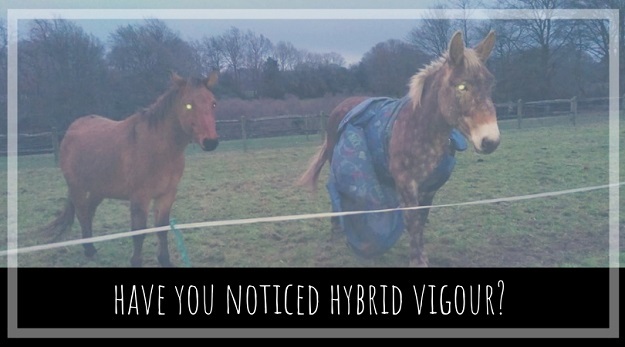 As mentioned above, some horses might look at their new long-eared friend a little askance to begin with. However, as with most things, if they live with them they generally get over any worry they might have. 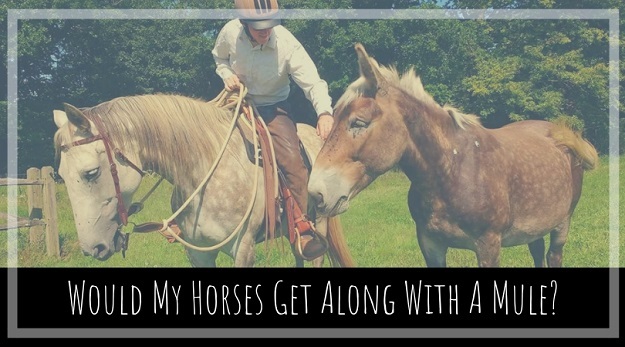 With Xato and Marty, I just introduced them to the herd like I would if they were horses; in a separate paddock for a while, sharing a fence-line with the horses, and then let them all in together.